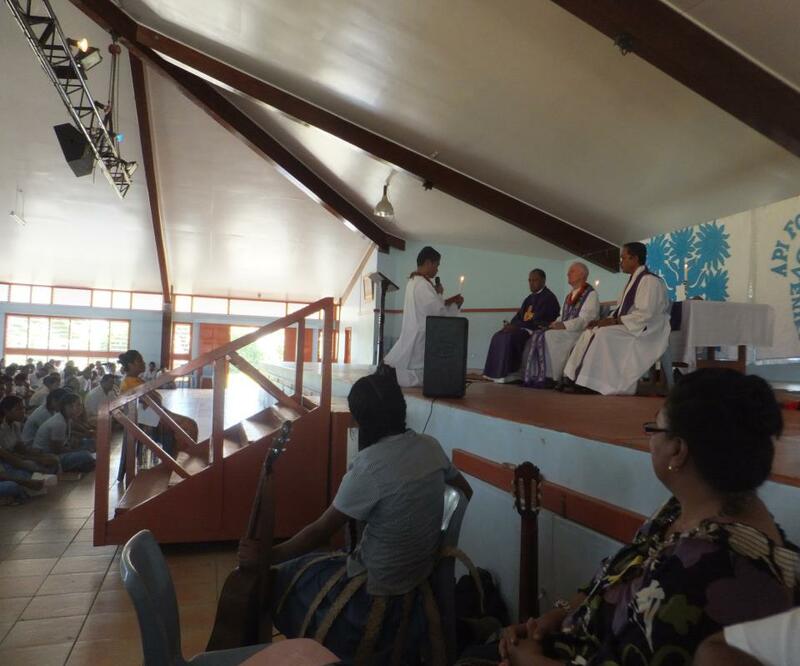 I am a temporary professed Marist Religious for three years now. Every renewal is a special time for it gives me opportunity to look back and see the small steps and big steps that I have taken in this life and also to look forward and anticipate what life would be if I would continue traversing the less travelled road. My voice still trembles, my feet shakes, my heart pumps faster than normal. My renewal is a manifestation of the great love of God. 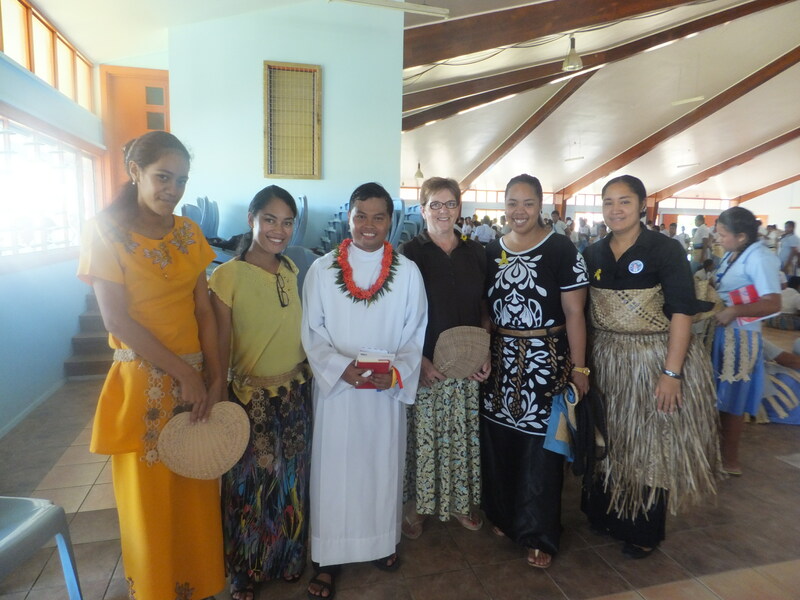 The love of God and my love of mission keep me going to continue sailing in my Marist journey. My renewal of vows this year is a unique experience. Renewing my vows outside Philippines is a different experience. I personally experience how God looks after those who trust and believe in Him. Life has been full of challenges in the mission but God has been so great. 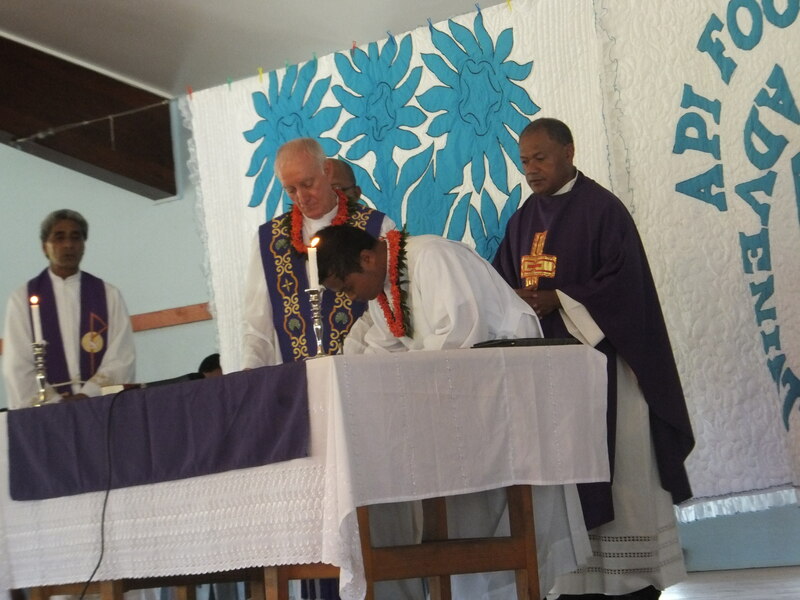 I renewed my vows in the presence of the students, staffs, friends, and confrères. The school tried to make the occasion more special. They beautifully sang two of my favourite songs. It was a fist time experience to most of them to witness a renewal. 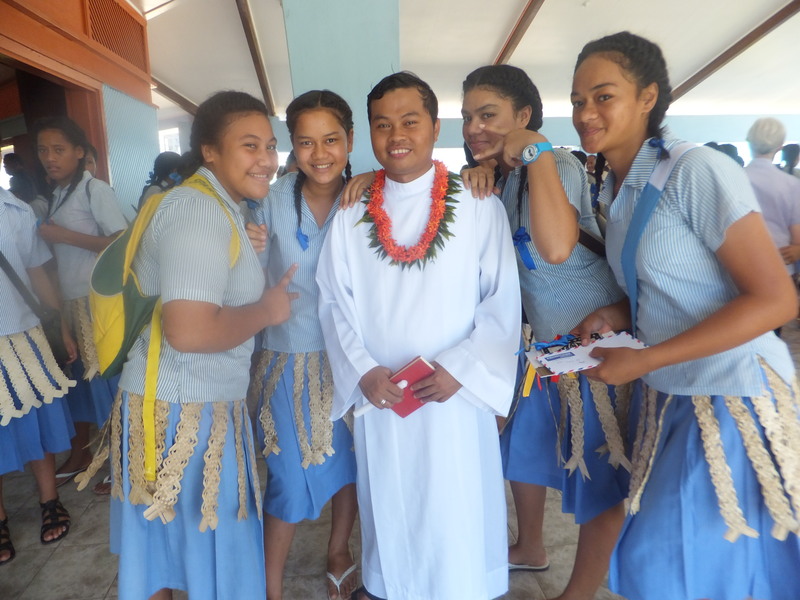 I personally wanted to renew my vows in the school for many reasons; to promote vocation, to awaken the desire of the young people to choose religious life, and also to show my gratitude to the students and staffs of the whole school for welcoming me in their place and them being part of my journey. I am grateful to Fr. Patrick Devlin, sm (my superior) for his presence and who personally accepted my vows and for the support of the whole District of the Philippines-Thailand. 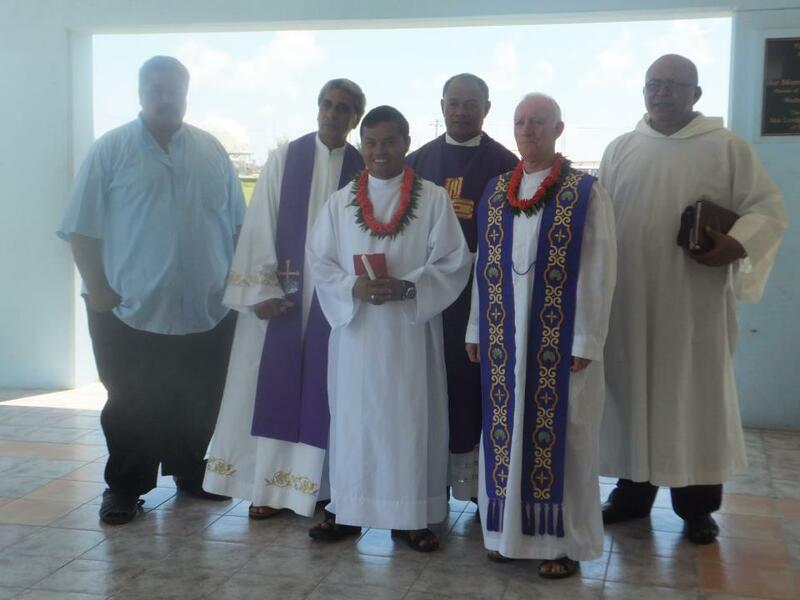 I am also grateful for the support of my Marist confreres here in Tonga and to all who have been part of my Marist journey; my family and many friends. Congratulations Roque and u are special for I think you are the first religious to renew your vows in ‘Api Fo’ou College..and as you shared its the best way of promoting vocation and I am sure you have also awaken in the hearts and minds of those young students that there is another life to choose from when they have to choose their vocation…all the best for the remaining time in the Kingdom…’ofa lahi atu moe hufaki..